Organizations having legal employment law and employer Paralegal guidance and support or an experienced paralegal will have lesser employment-related problems. Employment Paralegals in Oshawa and paralegals have been helping employers and employees to protect workers from wrongdoing by their employers, and the employers being violated by the employees by breaching certain policies created by the company. Without those statutes, workers would be vulnerable to a number of threats. The key employment laws include discrimination, minimum wage, and workplace safety and health laws, as well as workers’ compensation and child labor laws, our team of experienced Paralegals, have worked on several different cases and helped a number of employees and employers to have success in their lawsuits or legal employment issues. Employment laws in any organization will definitely prevent employees from discrimination. Our Employment Paralegals in Oshawa have dealt with several discrimination cases and it is one of the very common employee lawsuits we deal with. With the help of discrimination laws, you will be able to employees being discriminated against the other employees. Legally there are different types of discrimination like if any organization is reluctant to promote an employee due to his or her race, gender or age than it is also discrimination. For further information, you can always contact Masters Legal and we will help and support you with our expert advice. Another very common problem that arises with the employment rights and laws is the minimum wage. Before the minimum wage standards, employers used to exploit the employees by deciding what to pay below the minimum wage rate. This has helped to a certain extent for the employers not to exploit employees by paying them below the minimum wage rate. Though it might not be applicable in offices but in industries and factories where there are workers who have to work with big machinery the hazards are also enormous. Workplace safety and health statutes cover a number of areas including unsafe working conditions, machinery, noise levels, temperature extremes, electrical hazards, and extreme vibrations. Employment laws, workplace safety and health employment laws also cover repetitive work injuries, biological hazards, chemical hazards, and long work hours and having these laws in certain industries will ensure the employees that they will be taken care of in case of an unfortunate event. Another very sensitive issue is the child labor, before the Great Depression; there were no laws in place to prevent the use of children in hazardous and dangerous jobs. In the past during the hard economic times, children as young as five or six were being used in very dangerous employment that adults were unsuited to perform. Many children were maimed and injured as a result of that employment. In 1938, President Franklin D. Roosevelt signed the Fair Labor Standards Act into law, and child labor is prohibited as per the law up to a certain age limit. With the help of employment laws, the rights of the employees and employers are being protected. If you are an employer and have issues with your current or former employees. 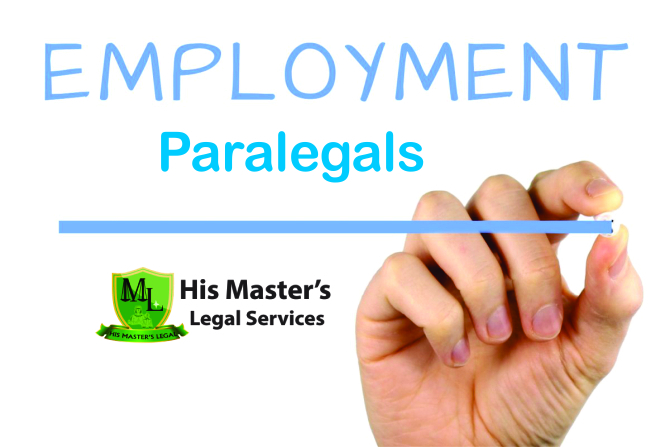 An employee you are having difficulties with your employer and need legal help then contact our Employment Paralegals in Oshawa.